A safe place where trans students can come with questions about their gender identity and other issues they may have. 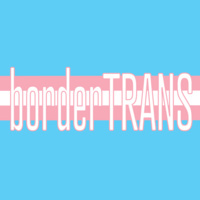 borderTRANS is a space for individuals to share their experiences and create community in a welcoming, supportive environment. This group is open to any UAB student who identifies as Trans, Transgender, Gender-queer, Fluid, Non-Binary, FTM, MTF, Two Spirit, Intersex, Gender Questioning and Transexual. This group is not open to family and allies.